Sometimes it can be useful to schedule blog posts to go out on a specific date and time. For example, you might be on vacation or away from your office, but still want that content to go out. Both WordPress and Blogger provide support for scheduled posts and this video shows how to use it. Can’t see the video above? 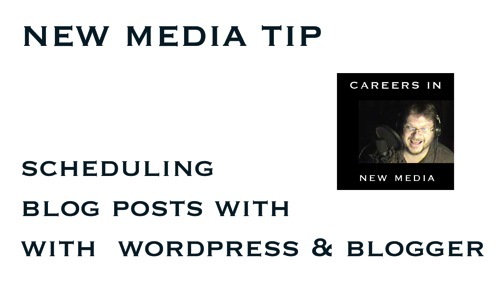 Watch “New Media Tip – Scheduling Blog Posts with WordPress and Blogger” on my YouTube Channel.